The Beyond 9.5" Spoon is a precision foiled fibreglass longboard fin. 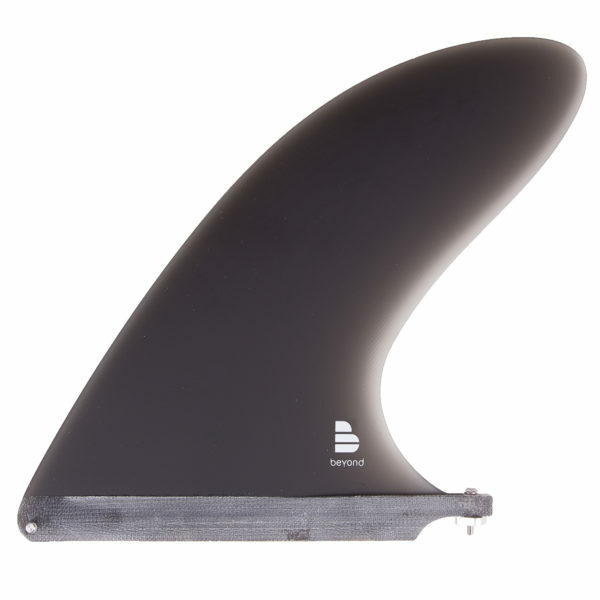 The Beyond 9.5″ Spoon is a precision foiled fibreglass fin made from 12 layers of premium cloth in a strong resin matrix. Like the D Fin, this is a very traditional large area fin with a subtle foil and reduced sweep. Heaps of nose-riding “hold” but with more rake and an increased cutaway compared to the classic D Fin. Foiled for driving turns and confident nose riding longboards but suitable for a gamut of single fin and 2+1 surfboard setups using the Ultraglass BL side bites. The Beyond® 9½ ” Spoon is a precision foiled fibreglass fin made from 12 layers of premium cloth in a strong resin matrix. 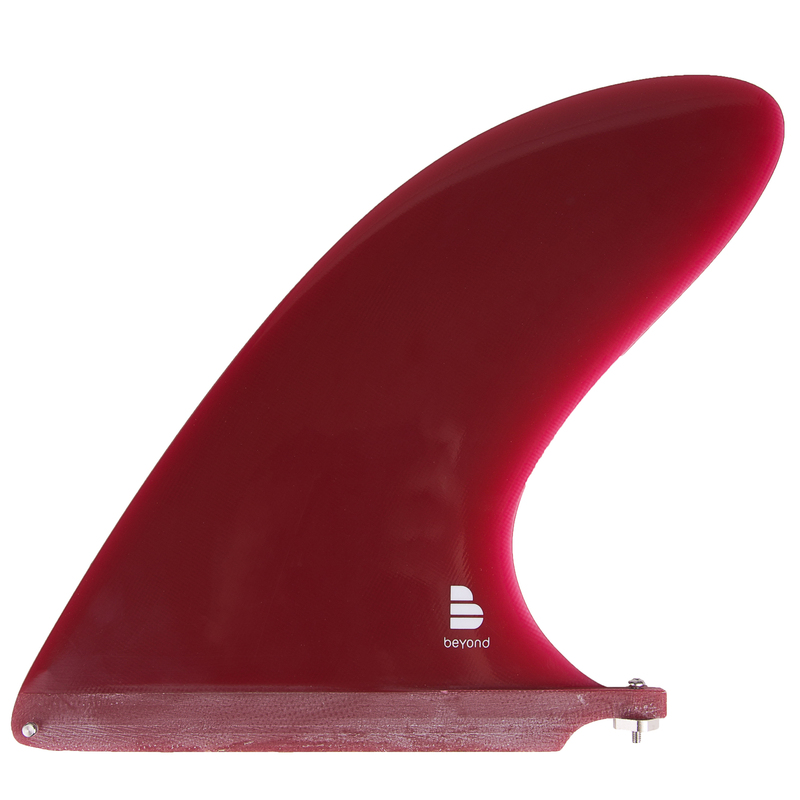 Like the DFin, this is a very traditional large area fin with a subtle foil and reduced sweep. Heaps of nose-riding “hold” but with more rake and an increased cutaway compared to the classic DFin. Foiled for driving turns and confident nose riding longboards but suitable for a gamut of single fin and 2+1 surfboard setups using the Ultraglass BL side bites. Made for FU 10.5″ boxes only. See the 10″ D Fin Beyond Longboard fin here. We recommend this easy use brass screw and plate for a full fitting solution.